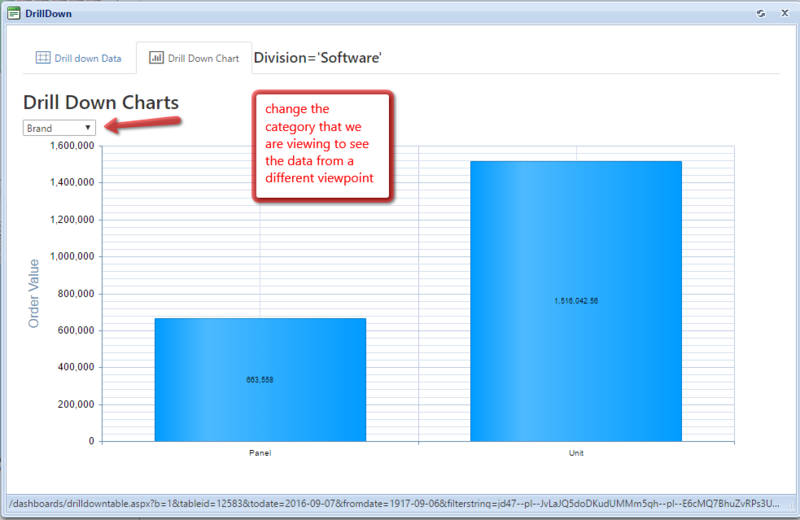 No longer does exploring data mean strictly viewing or drilling down into tabular information in the data drilldown view of a chart. Thanks to feedback from users, such as you, we’ve added the capability of viewing this Drill Down information visually, as a chart! 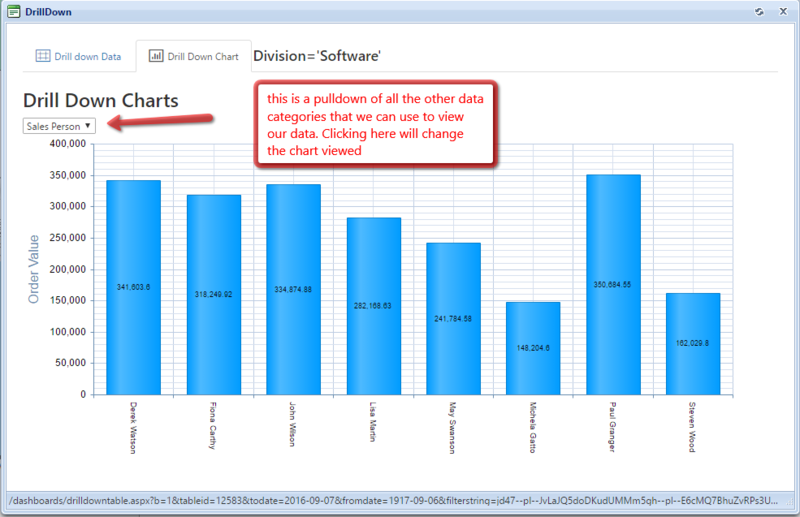 That&apos;s right, it&apos;s now possible, using the Visual Data Explorer - Drill Down Chart to drill down into our category-based data and visually focus in on the columns that are most interesting, making data exploration, analysis and answering questions about the significance of those categories, just a click away. The following 5 Minute How-To will walk step by step through the process of creating a drill down chart using our existing dashboard data. 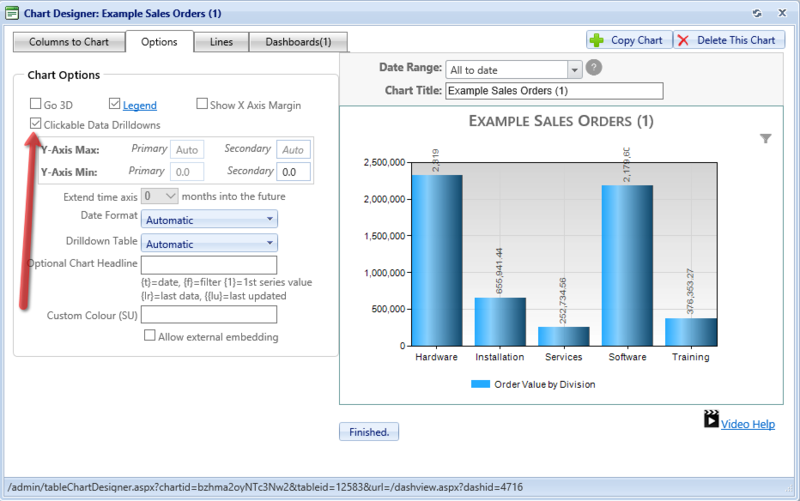 Remember to tick the box on Clickable Data Drilldown in the chart options. Add to a dashboard in the usual way. Step 2. Try it yourself and see the difference on the dashboard. Click into the drilldown, where the popout screen becomes slightly different. 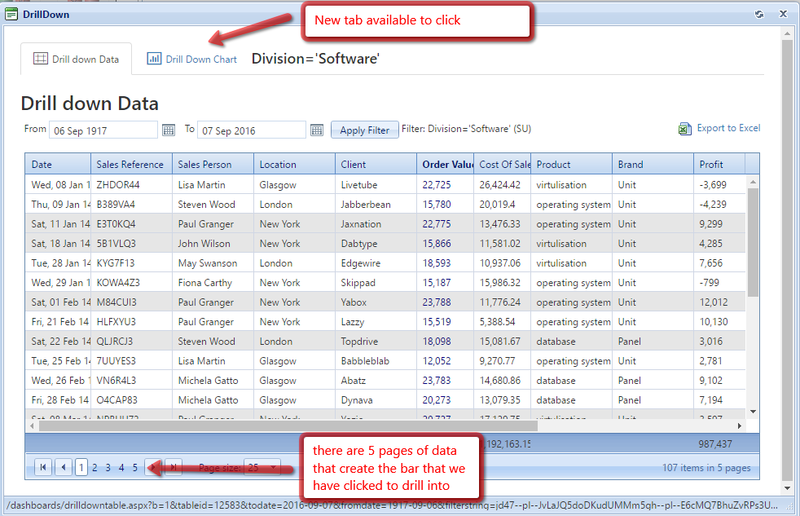 The actual data is still there, which we can download to Excel as normal, but there is an additional tab now available. Previously, the actual data extract in this case is 5 pages long and extremely detailed, so to analyse this data requires us to download to Excel and then do some work there. The new drill-down chart feature enables us to focus and look in more detail at that category, to see if any significant trends can be determined. 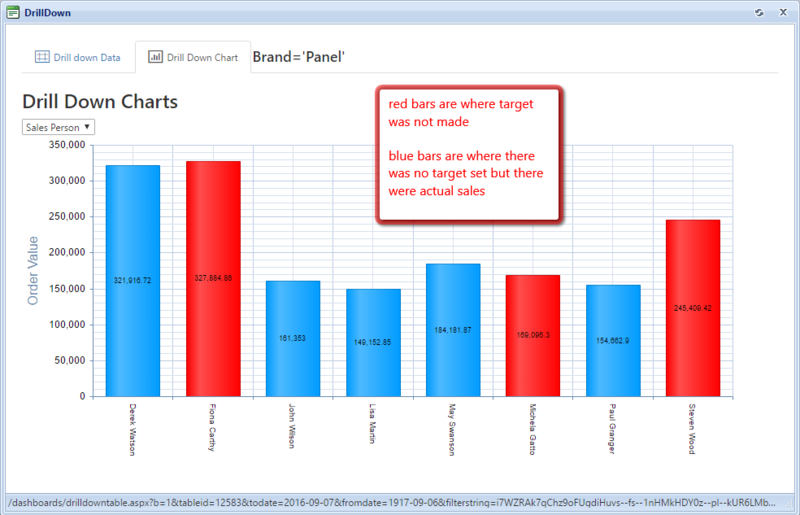 Target Dashboard scans the columns of data and determines which categories are available to view the data against, providing us with a dropdown of choices. Step 3. Take a moment to try the various dropdowns and see how easy it is to explore the data, visually categorised in first one way and then another. Taking the time to set targets based on the critical success factors of the company can be a great way to leverage some of the unique capabilities Target Dashboard provides - namely the at a glance view to see whether you&apos;re on track, or not (thanks to colour changing columns depending on actual vs target). If there are targets built into the data, and target based colours have been ticked in the chart options, they will translate over to the drill-down chart. Step 4. 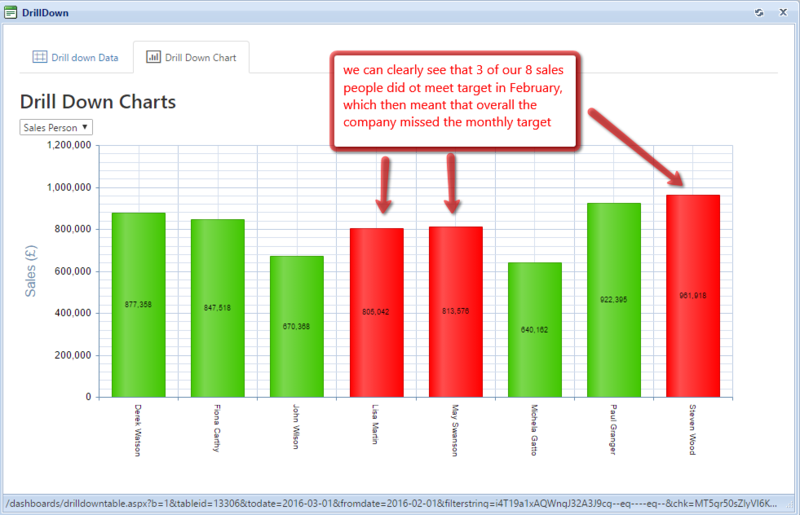 View your target based drill-down chart showing where you have met, or not, the sales target each month. Click on one of the bars, for example February where we did not meet target, to focus in on February performance data, which will give us the below visual explorer view of the drill-down chart data. Alternatively, we drill down into one of the bars where we did meet target, for example March, simply by clicking the March bar. 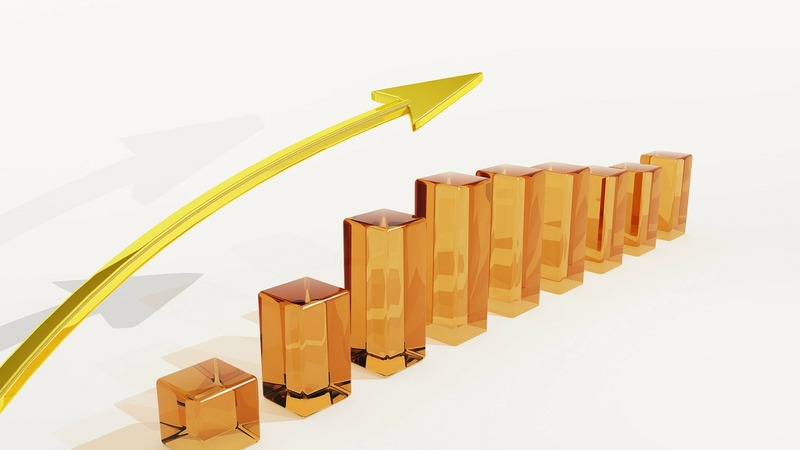 We can see that although overall the target was met, we actually have some sales people who failed to meet their goals, as well as those star performers who exceeded expectations. It&apos;s now much clearer where any management actions should be focused. Step 5. 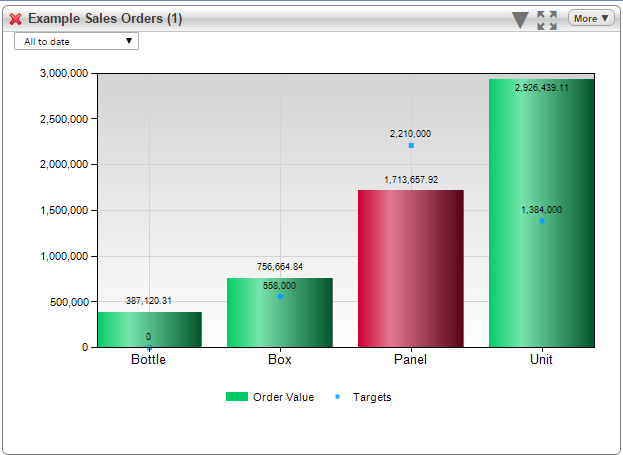 Try this with the traffic light chart which measures targets by category. 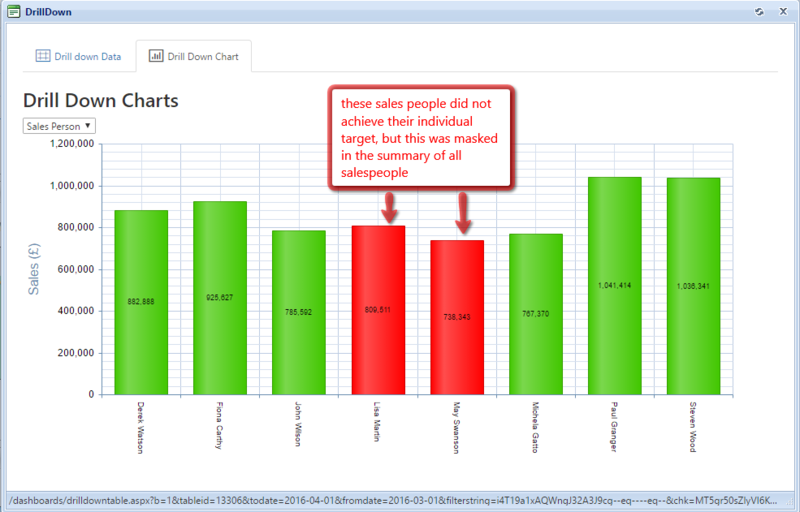 By drilling down into the data visually, we can see that three sales people did not meet their target, and the five sales people who did not have a target assigned, but achieved sales anyway. When it comes to exploring data and analysing it via multiple perspectives, we&apos;re confident that Visual Data Explorer – Drill Down Chart feature will become a key first step. The ability to focus visually, without being overwhelmed by detailed tabular data, provides a much improved level of clarity in the drilldown and enables greater insights to the underlying trends in the data. After you&apos;ve given it a whirl, let us know what you think. Is it something you&apos;ll use regularly? Anything you&apos;d suggest to make it even easier or more insightful? Pop us an email to support@targetdashboard.com with your thoughts. Thank you! !